Security Groups give you the flexibility to tailor your store uniquely to the needs of different groups. Do you have an HR department that orders items that other employees don’t need to see like name tags or business cards? 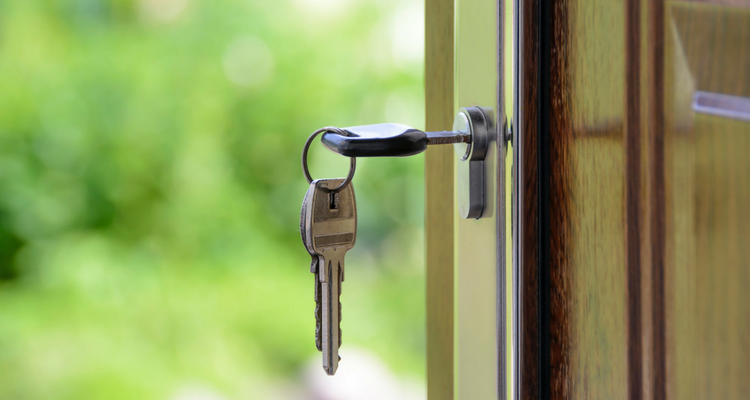 Will the items on your store cost less for employees than to outside members of your organization? Make Security Groups that give different levels of access to different people, like a category of items that is only visible to HR so they can order office supplies. 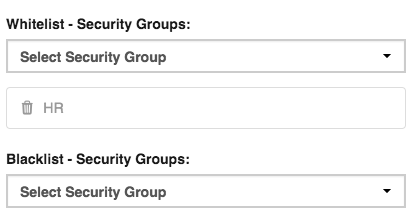 To add a new security group, go to Security > Groups > Add New and then give your group a name and description. 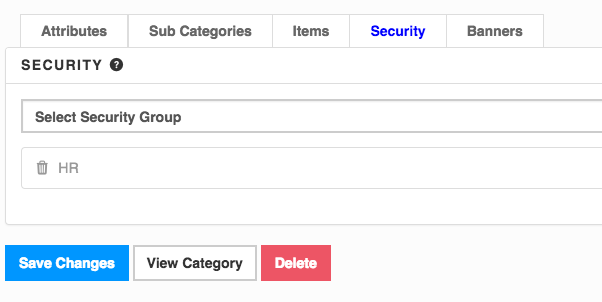 Once your group has been created, you can go to the “Categories” tab, select a category, then click on “Security” to add the group(s) you’d like to grant access to that specific category. You can also select set specific items to only be visible to certain groups using the same steps. When editing an item, click on the “Security” tab to change who can access it. After that, no one except the group you’ve selected and account admins will be able to view that category or item. This feature is perfect if your organization has different regions or departments that need access to items you want to hide from other users of your store. You can also add pricing specific to different groups, like giving employees lower pricing than what the display price would be to everyone who sees your store. When an admin edits an item, they can click the “Pricing” tab to set a price break for a security group like employees, executives, or everyone. Under the Shipping tab on the admin panel, you can customize shipping options so they are only available to specific groups and hidden from others. For example, if you’d only like to offer a next-day shipping option to your HR department, you can whitelist that group and blacklist other groups so they don’t see that option. Stay tuned next week for a feature on how to use Axomo reports to improve the performance of your store! Are Your Employees Repping The Brand After-Hours?